I was back in the garage again this weekend. Two days of various texturing and carpentry were completed along with Russell and Richard. I had to push myself on sunday to get the wooden edges completed before the Sunday session with the team. 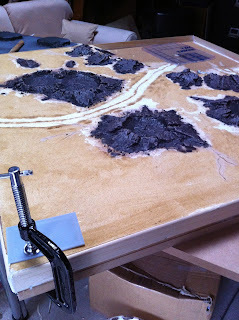 Edging board2 the Critical Mass Games resin Mesa layout. Putting an edge on can help prevent warping of the MDF because the harder wood on the side can reduce warpage. 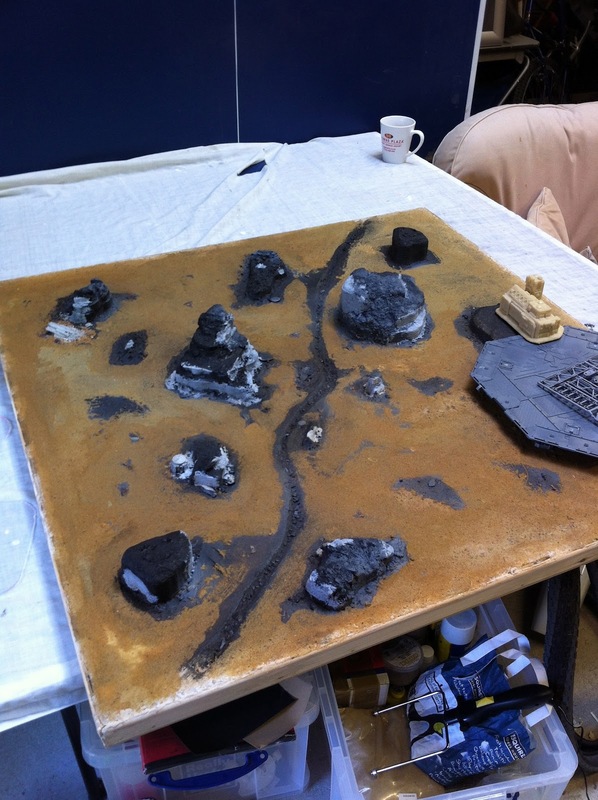 Board1 - The Crater layout. 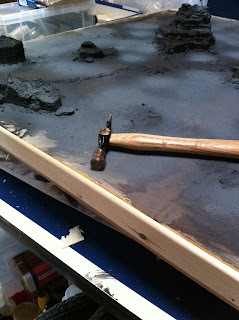 Edging tacked for protection and longevity of the board. It also looks nice when completed and painted black. 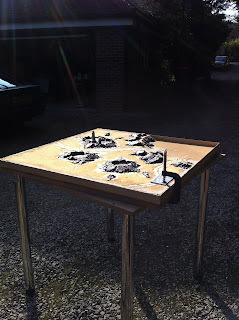 It was a sunny day, so Russ suggested putting the crater table outside to properly dry the edging in the sun. 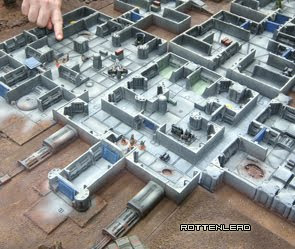 Playing with the Mesa terrain board2 layout. 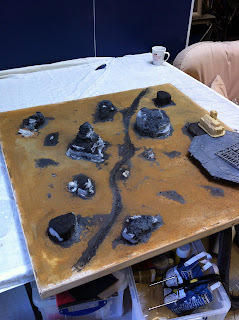 Testing what a couple of terrain items look like on the layout. The base station / landing pad is plastic from Games Workshop and I won't be using the legs which came with it. The backend is resting on the two flat resin mesa terrain items from Critical Mass Games. I have this resin Tau Barracuda from Forgeworld which is under construction. 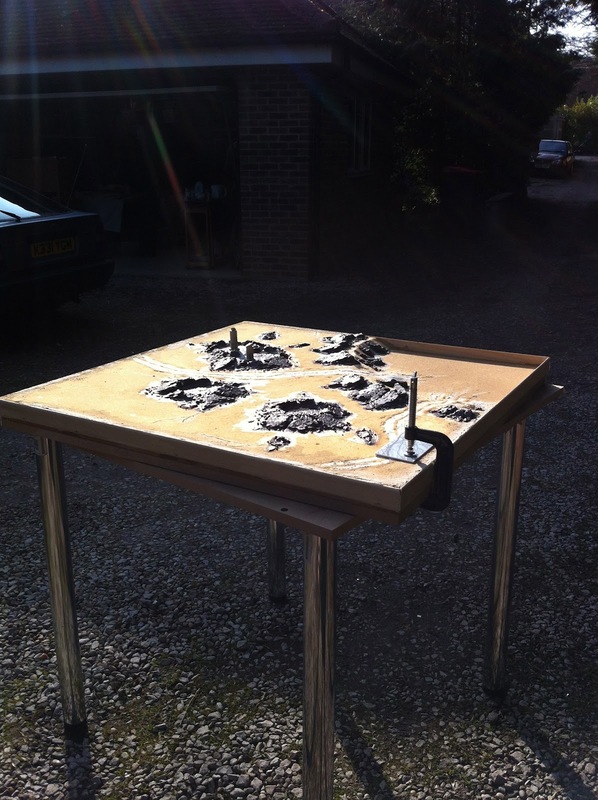 The resin model will be the centre piece of this 15mm SCI-FI layout. The cockpit and detailing on it are perfect scale for 15mm. Finally got a base light colour onto the Mesa terrain outcrops. 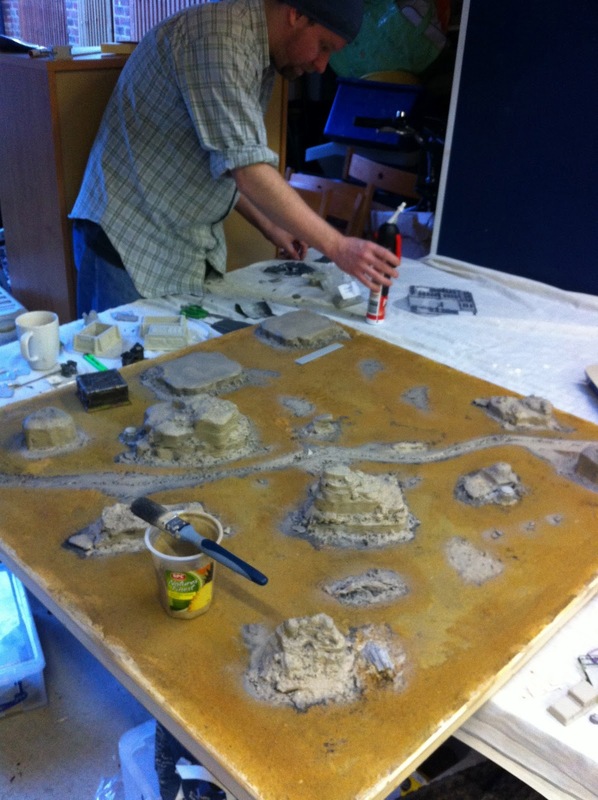 The battlefield layout base is currently still the natural sand colour which will be painted in a desert colour, darker than the mesa themselves but generally similar in a desert colour. Russ is behind the scenes building a crashed VTOL for a drop on terrain piece. He has a VTOL from Old Crow that he is setting into some crater parts from GW which will be a nice drop on terrain detail. That looks awesome... 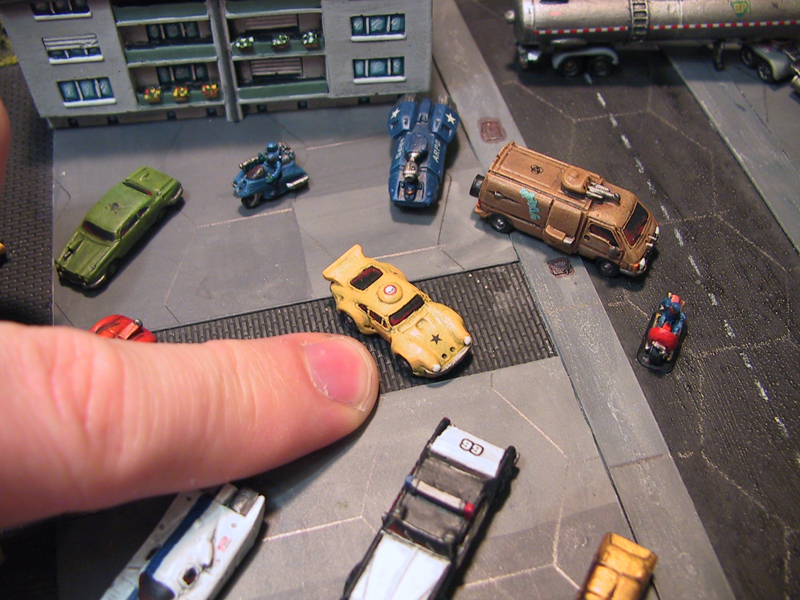 I'll have to take a look at the landing pad... since I've been needing one for my 15mm backwater spaceport. Thanks for the WIP picture too! Great work as usual Robin, your fans are in for a treat at any con these tables grace! Thanks all. Hoping to get them mostly complete this weekend. Then onto some super detailing.